Don’t let the smoke get into your eyes, but get it into your party instead! Create that epic smoky or foggy atmosphere for an epic entrance to your wedding and birthday parties. Or add more spookiness to your Halloween celebration by creating smoky pumpkins for a more fun scare. If you want to add mystery and fairy-tale quality to an event, Having A Party can help. Dry ice adds more fun and mystery to your event, depending on the mood you want to create. This party effect is very easy and safe to use. And it is good for any kind of parties and events, such as birthdays, weddings, Halloween, and even corporate events. Dry ice definitely adds more excitement. Who wouldn’t be excited seeing and anticipating what follows the fog slowly rising on stage? What surprise does it bring? Where to buy dry ice in Melbourne? For the past years, dry ice has not been that accessible in the city of Melbourne. That’s why Having A Party is here to provide the solution that you’re looking for. We are an innovative and well-established party hire company, servicing all suburbs of Melbourne. We provide our expertise and products for a wide range of clients, helping make their events better. From wedding receptions and corporate gatherings to birthday parties and more, Having A Party is your partner in making your celebration a big success! 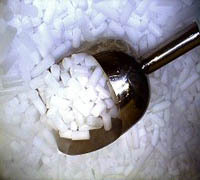 Having A Party’s dry ice products are of very high quality and meet all safety standards. 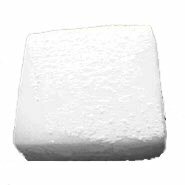 Both the blocks and pellet versions are classified as NOT Hazardous by NOHSC Criteria and Dangerous GOOD by ADG Code criteria. We make sure that dry ice will not only add more fun for your events but that they are also safe to use around your precious friends and family. They also come with instructions on how to use them. We can also show you how to make full use of them to ensure your fog and smoke effects go on without a hitch. Buy dry ice from us and we will deliver them to anywhere within Melbourne in a reasonable timeframe to suit your schedule. Why Choose Having A Party? Our priority is your satisfaction. We focus on making sure that you get the type of products that you want and need for your parties and events. Our experience and expertise, coupled with our high-class resources, will help make your events successful. We have what you need for your next party and event. Having A Party will take out the hassle of preparations and planning. Visit our office at Cnr Springvale Road and Lindsay Avenue Nunawading Vic, 3131 or call us at (03) 9894 1311 for inquiries and orders. Check out the full range of our wedding and party products for hire.